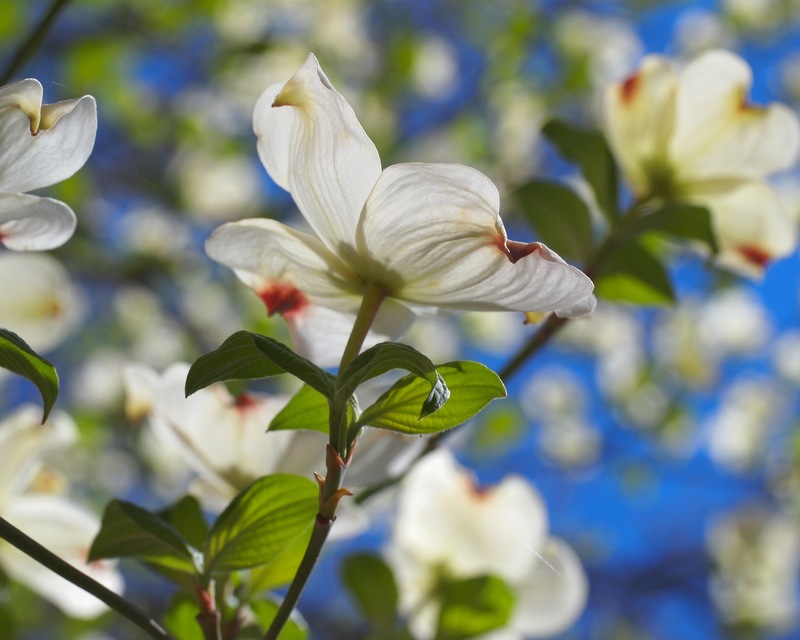 The dogwood is a favorite of mine. It shows itself early. Before the leaves of the surrounding trees have fully opened they appear like clouds suspended just below the treetops. The open and spread their wings, and then they are gone. 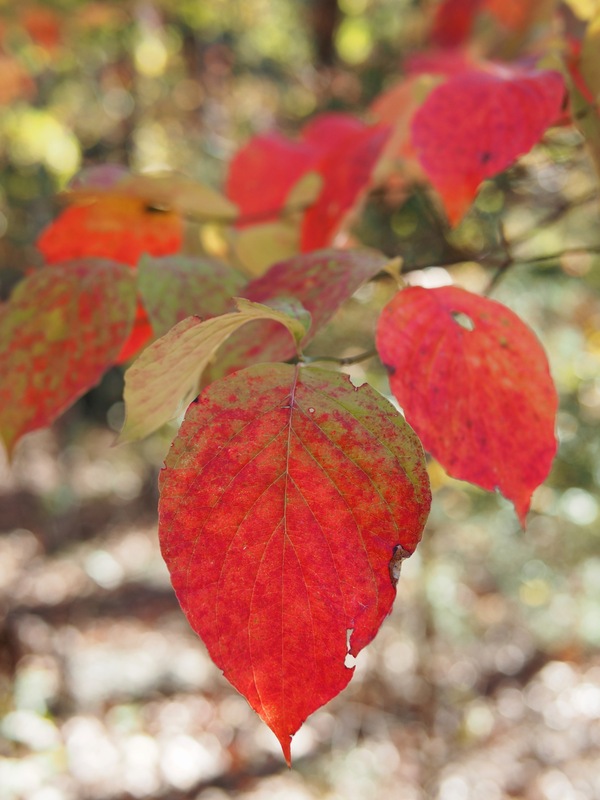 Throughout the summer, the dogwood simply disappears. It’s green leaves blending into the canopy. Only it’s dark twisted trunks give it away. For months they hide as spindly trees in forests of mighty oaks. Until only red remains and they alone are at the peak of their color. As the others start to fall, they take flight. 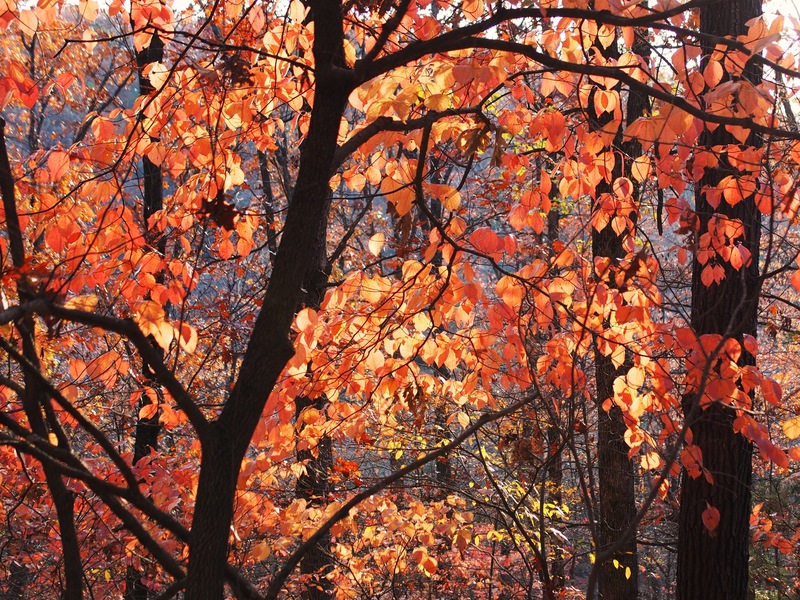 Bursting with color as the sunshines right through their translucent leaves. Holding on long after the others are gone. 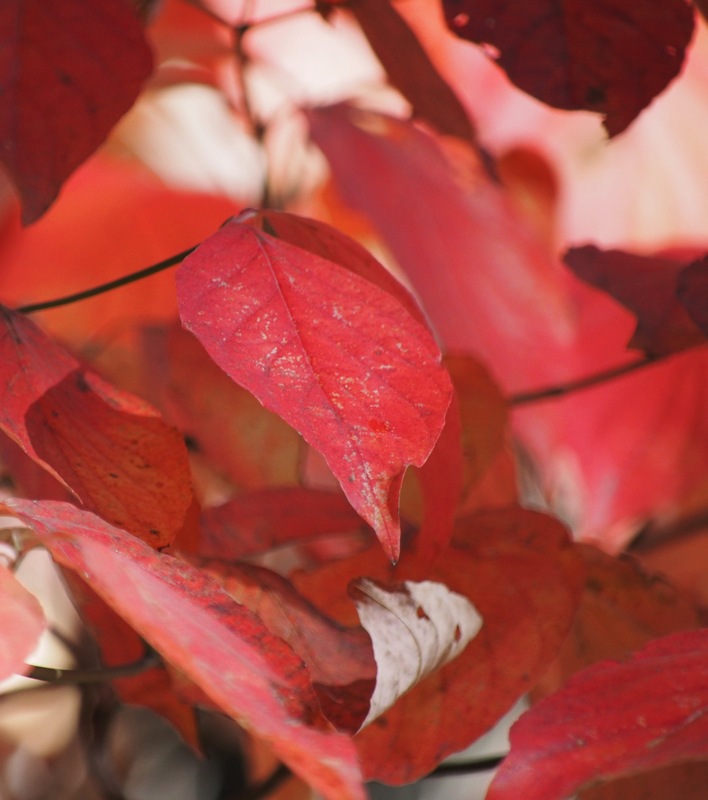 This entry was posted in foliage, Ozarks, Photography, wildflowers and tagged Dogwoods, fall foliage, Olympus, Olympus E-M5, Ozarks, photography by artsifrtsy. Bookmark the permalink. Beautiful trees, one of ny favorite things about the southeast US. If I were a tree….this would be my choice! The dogwoods scattered thru the woods when we lived in BV were something I truly did not take for granted! I would snap pics and send to my grandmother in OKC. This was her fav, too. She helped me appreciate them…..thanks for sharing these pics and for bringing to mind great memories! Beautiful! My pleasure. I adore dogwoods. They were my moms favorite and living in the desert she pined for them. I love living in a dogwood forest. I carried a veteran in the parade and spent the rest of the day shooting the last of the color. It was glorious today. Well bless you for doing that! We went to two parades today. Lots of fun pics and fun celebration. Tomorrow comes the cold and rain….we need the rain! We do need the rain, but boy was it gorgeous today. I don’t know why our parade was today. I’m glad though, we had so many vets turn out. That is awesome. There is one in Tulsa tomorrow….but the weather may mess with it. Great you had a good turnout! For the longest time I couldn’t pick out the trees once the flowers were gone. I never thought of them being in the park. It’s great to have the conveniences of the city and the wilds of the park in one location. 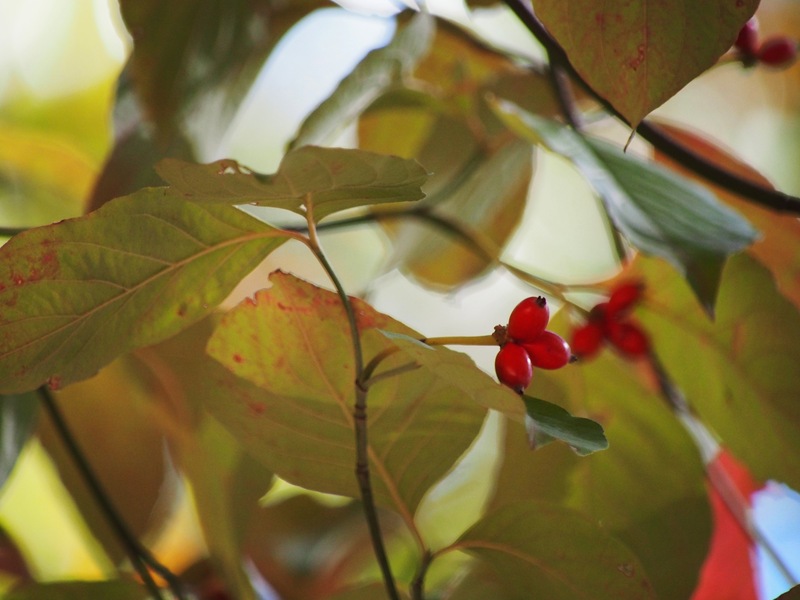 I see a small dogwood in a residential garden near my home. Love the flowers, they are so unusual. Didn’t know what it was called until another walker commented when I was taking a photo of it. They are so stunning in the woods because they look like they are floating. They were my mom’s favorite. the first and the last of my fav. tree !! Beautiful! I especially love the spring picture. It’s a bit early for that kind of longing – I think it’s going to be a long winter here! Thanks – I try to soak in all the fall I can before winter hits. I miss the spring flowers already. After last year I think we might be in for a long winter everywhere.